Ko Netzler beams from her hospital bed in the humble bedroom where she has spent most her days for the past 15 years. 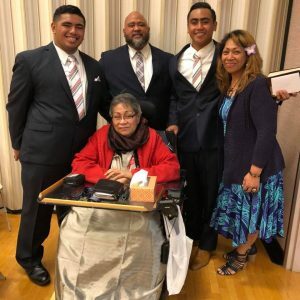 Surviving a car accident that she did not cause left her body partially paralyzed, but her soul and her faith suffered no lasting ill effects. Family and friends stop by hoping to cheer her, but leave encouraged and inspired by her love and faith. For those beyond her reach, she uses her laptop to send messages of love, encouragement, and faith. 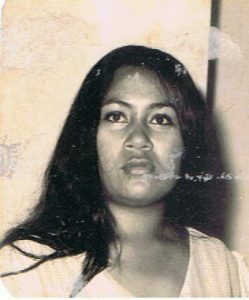 Asked where and when she found such faith, she credits her parents and the Samoan village where she grew up in the 1950’s. “Papa and mama rocked our faith lives,” she says. 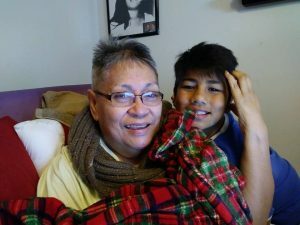 She thinks she was about 10 years old, when she saw the results of her papa’s good works and persistence in teaching his family and clan to serve and give. The results, she said, were amazing. John Williams from the London Mission Society first brought Christianity to the island. Her family embraced it and changed their traditions to match the message. Ko’s parents were very strict with high expectations and sometimes harsh punishments for disobedience. Ko said they expected to be told no. 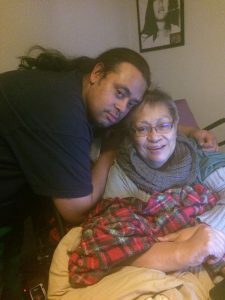 Her mother’s mantra was, “Be grateful and don’t waste the gifts God gives us.” Mama pointed out that air was free, so they should be grateful to breathe. 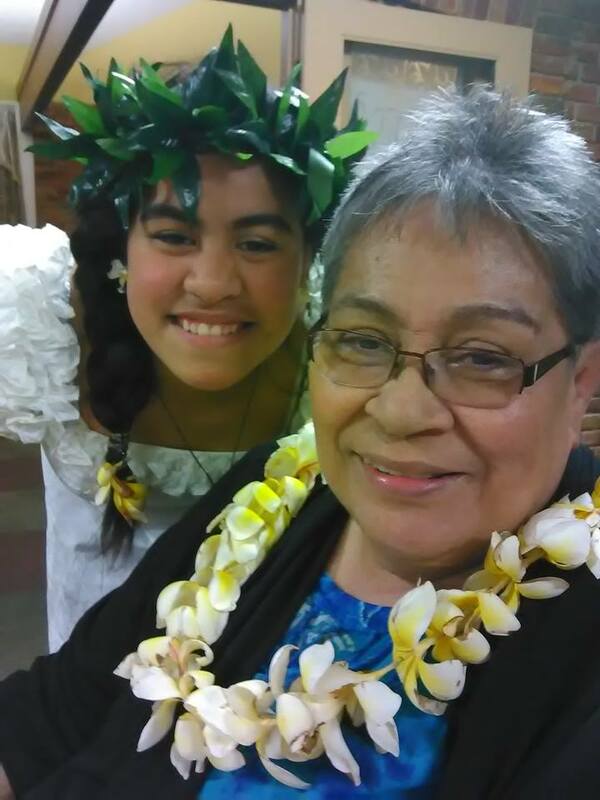 Her faith-filled upbringing defined her roles as a mother, daughter, wife, and friend. In her culture, mothers are rulers and fathers are providers. Her six children learned to work and serve. Following her mother’s advice, they used the gift of free air to dry their clothes outside when weather permitted. 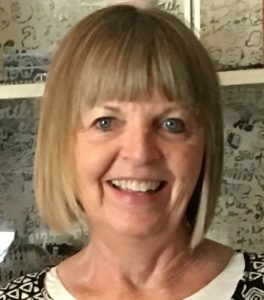 At one time, she was working three jobs and running the household. She said she domesticated her boys and taught them to be responsible and accountable. They were not allowed to place blame for their mistakes or failures on each other or others. She encouraged one son to take responsibility for providing for his family rather than relying on assistance from his church. As he exercised his faith, he was blessed to form a company that prospered. As a daughter, she learned that when she did the chores assigned by her mama, not only was her mother happy, so was she. As a daughter of God, she finds peace and happiness in sharing her love and faith. She knows her children will also find happiness by being respectful and obedient. Being paralyzed is not the only trial Ko has faced. Her youngest child, Lagi, was a twin. The other twin, a girl, Loa, died as an infant ten years before the car accident. 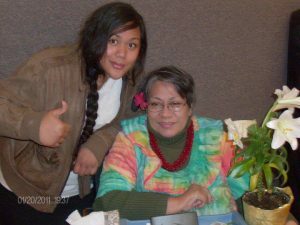 Her husband, Bob, and one of her sons had to return to Samoa nine years ago because of legal issues. Ko’s words ring true, but the light of her faithful life is the most powerful influence on all who know her.